﻿ Eight Rooms - Macalister Mansion, Penang | FROM $111 - SAVE ON AGODA! 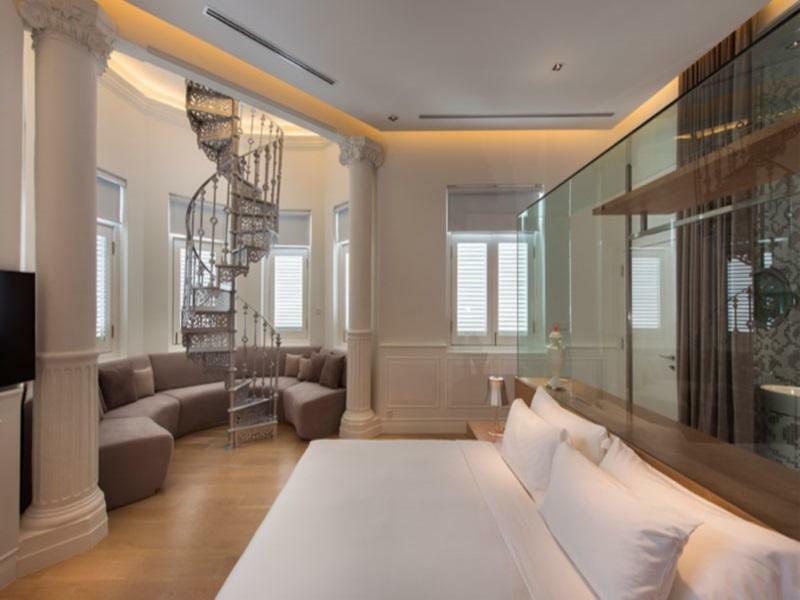 "Very modern interior design, strongly recommended for couple..."
Have a question for Eight Rooms - Macalister Mansion? "It's such a wonderful experience to have stayed in such a magnificent historical mansion ! The interior design has been modern smart and cosy!" "Will love to be back." "Good service and good foid"
"Good bed, great coffee, best place to stay in penang"
For travelers who want to take in the sights and sounds of Penang, Eight Rooms - Macalister Mansion is the perfect choice. With its location just from the city center and from the airport, this 5-star hotel attracts numerous travelers each year. Visitors to the hotel can take pleasure in touring the city's top attractions: Loh Guan Lye Hospital, Floating Mosque, Loh Guan Lye Specialist Centre. 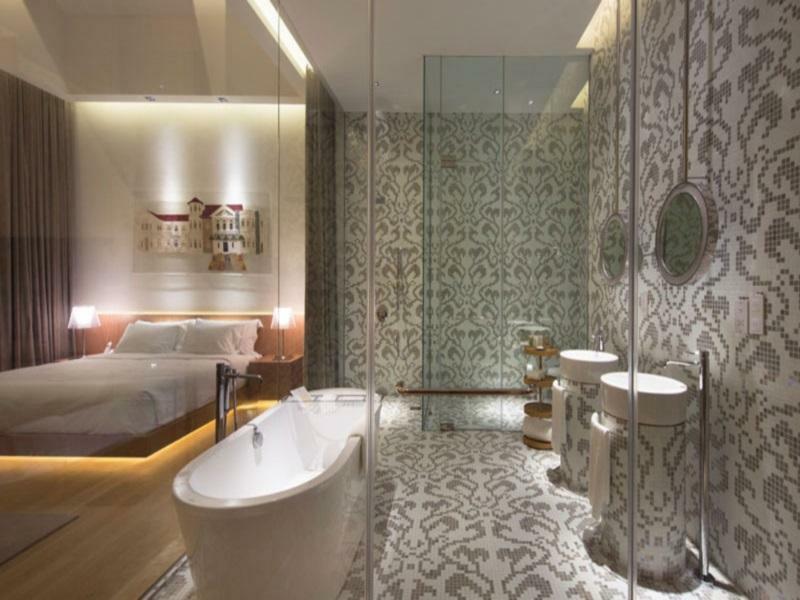 At Eight Rooms - Macalister Mansion, every effort is made to make guests feel comfortable. To do so, the hotel provides the best in services and amenities. The hotel offers access to a vast array of services, including free Wi-Fi in all rooms, 24-hour front desk, Wi-Fi in public areas, car park, room service. 8 rooms spread over floors provide a warm and pleasant home away from home. Modern comforts such as television LCD/plasma screen, internet access – wireless, internet access – wireless (complimentary), non smoking rooms, air conditioning can be found in selected rooms. The hotel offers fantastic facilities, including fitness center, outdoor pool, to help you unwind after an action-packed day in the city. 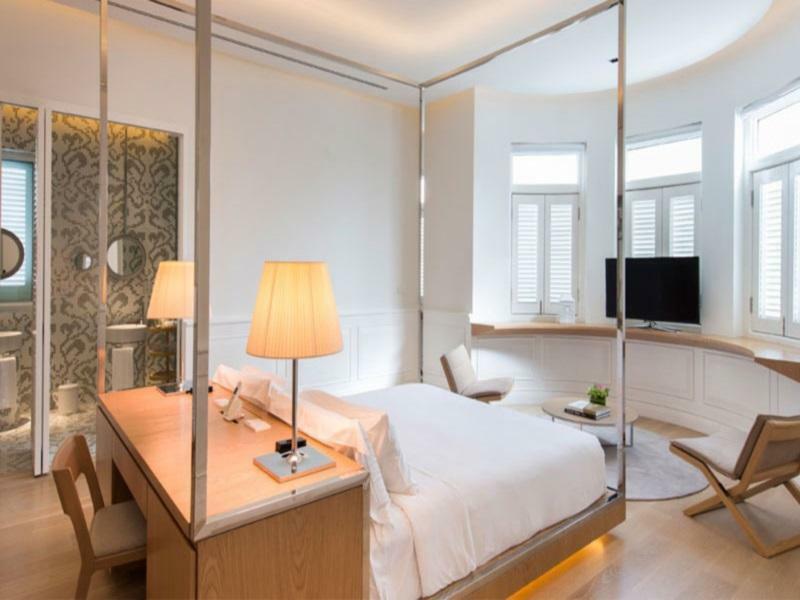 Whatever your reason for visiting Penang, the Eight Rooms - Macalister Mansion is the perfect venue for an exhilarating and exciting break away. "I love this hotel so much!" Extra bed is not available at this property. The minimum age required to check in is 18 years. Enjoyed staying at this hotel. The only downside was that the bar area, which is attached to the cafe breakfast area, allows people to smoke in it. I think the few people, mostly people not staying at the hotel, smoke inside and as a result the whole downstairs including cafe area stinks like an ashtray and worse. If large Hotels are getting boring then this Hotel is perfect for a short getaway. There are not many facilities and the pool is in a strange position close to the main road. Breakfast is from 8am to 12pm so not good for early risers. The restaurant "The Dinning Room " is excelent. Superb food, knowledegable staff, great wine list and good vakue for money. If you are looking for an 8 course fine dinning experience, you cant go wrong eating here. The rooms are large and well equipped. 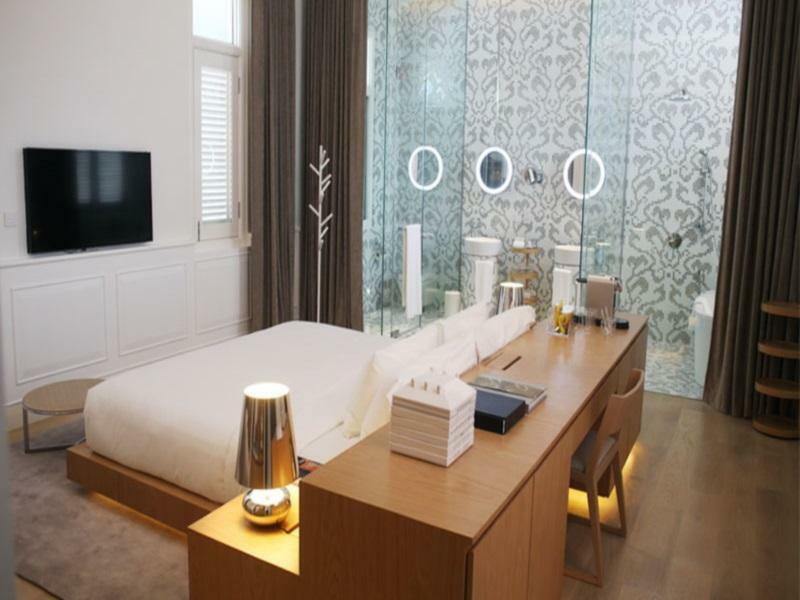 Very modern interior design, strongly recommended for couple travelling to Penang. I wanted to go with my girlfriend for our one-year anniversary, and it was the good choice. The room is perfect, you just want to spend time in it. The mansion and its different rooms is greatly restored, with this mix of old colonial and modern art, I really loved it. Wifi was not extraordinary overall, and location could be a bit better. Also, when booking cabs from the reception, we often found non metered taxi, I don't mind, but in this case, reception should advise on the rate or inform us. This was a great hotel with great value for money. We stayed for 3 nights and got a discount for booking a minimum of 3 nights. The room was spacious and clean. Also all food and beverage (minibar) in the room was free! The bath products were high quality spa products as well. Everything about the stay was excellent, highly recommended. It's not that I've been to many luxurious hotels, but this one seems to be the best so far. The designers have impeccable taste I must say. Even my husband who's not particular about Interior Design loved the simplicity of the room. The only thing I had to complain was the ceiling downlights which seem to have no switch off button at Room 8 (and also no full height mirror). Otherwise, great breakfast, oh-so-comfy king bed, large bathtub, staff was friendly but mostly we're left to our own privacy, which we like very much. It was a very pleasant and relaxing vacation, I would definitely stay there again. Comfortness, Environment and Cleanliness excellent! Fantastic room with quality toiletries. 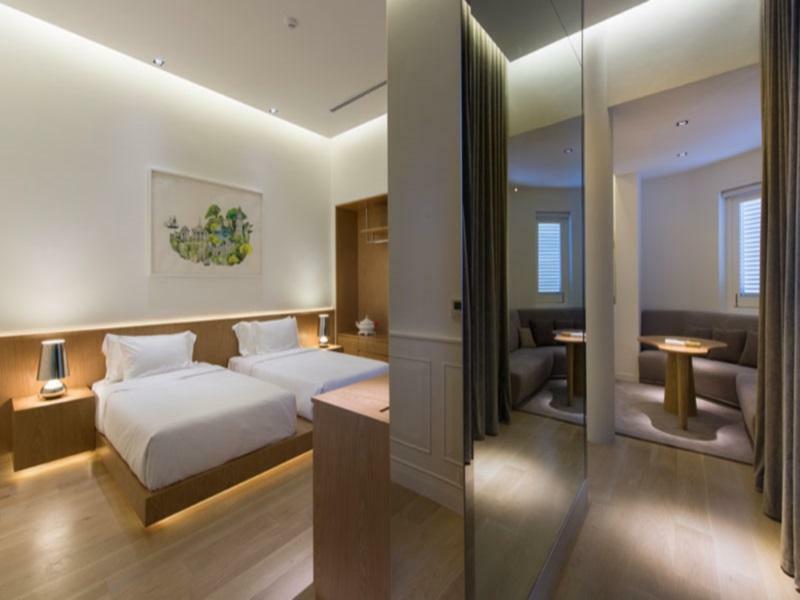 Good renovation and design of the hotel rooms and building. One of the best fine dining in Penang for sure !! Privacy assure. After all only 8 rooms available in this hotel. Strategically located with friendly staff. Excellent rooms and magnificent food from their fine dining restaurant. Simply one of the best hotel in Malaysia !! Feel like buying up the hotel. Haha !! 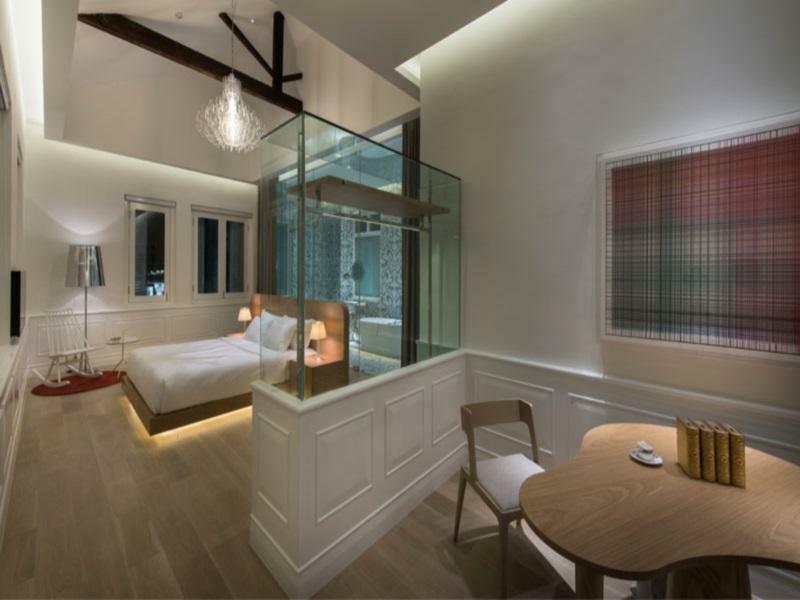 The hotel designed for comfort with a vintage feel to it. Each room has a unique interior. Big comfortable bed, open design, curtains move with the touch of a button, romantic lighting, bathtub and toilet are clean. Service was great too. The hotel staff enter the room twice a day. First time, they do the usual room cleaning and change of sheets and towels. Second time, they set up the room for night, adding macarons and chocolate truffles, and refill the complementary snacks and water. Hotel facilities are a restaurant, a cafe, a den, a swimming pool. My husband wanted to have a whiskey and cigar so we went to the den around 11pm. It was a nicely designed area, but the selection is not very wide. We also used the swimming pool once. The pool isn't well-patronised so we had some privacy. But that also means that the area isn't set up all the time. When we went there, we had to walk through the cafe, and grab towels from a cart near the pool. Lovely designer rooms in a heritage hotel. Would love to stay longer! The room is perfect, you just want to spend time in it. My partner and I, together with 2 other couples, managed to get rooms here (thankfully) despite booking it at different times. They only have 8 rooms which makes your stay exclusive. Breakfast for us was provided everyday and it's an extensive breakfast which we enjoyed very much. Different rooms has different concepts but the rooms were all lovely! My partner can't stop raving about it! There was also complimentary minibar throughout our whole stay! Take a 10 mins walk down and you'll arrive at an area that sells all sorts of street food for dinner. Otherwise, it's convenient and cheap to go around in Grab. Christmas in hot places can feel a bit weird. Christmas at Macalister Mansion was like staying in a little luxury lodge. Spacious, beautiful and comfortable - both the rooms and the rest of the hotel. We love Design Hotels for their attention to detail and they craft a lovely, unique customer experience. I think maybe we were some of the only people staying there, so service was attentive and relaxed. Breakfasts in the cafe were a perfect way to start a day of wandering around Penang. Christmas Dinner - an 8+ course degustation was inventive, delicious and filling. With a generous flight of international wine to match we happily rolled out of there at the end of the night. The only shame, and not their fault really, is that the public area is filled with cigarette smokers on the evening, we couldn't stay long. Cigars add to the ambience, but during the day it has that stale cigarette smell in the wine cellar lounge. It's a little bit away from the main sites of Penang, but quite a few times we walked back even from Gurney Road) and the 30-40min walk was probably quicker than waiting in the traffic. We loved our stay there. The nightly macarons always made us smile, the bed and pillow menu was heaven! Not many people stay, which make us feel like king n queen, living in a palace with grand dining area and the swimming pool. So touching that they hv pillow menu, and the design of the hotel is excellent. Room: excellent. Bed was comfortable and room was faultless. Staff: welcoming but not intrusive. Very responsive over email before arrival and very accommodating with a special surprise during dinner. Thank you. Dinner: ambience was great, staff great, food okay. Very enjoyable. Miscellaneous: nespresso machine in room was not programmed properly. Easily the best hotel in penang for a relaxing evening. stayed here for a short weekend getaway. rooms are very modern and comfy. most importantly, they were very clean. staff were extremely helpful and professional and they made our stay a very pleasant and enjoyable one. only slight drawback is the location - it's a 20-30min walk from the main eating street of jalan penang/ jalan transfer etc. did that the first day and regretted it. the next day, we took a cab which was a less-than-10min ride. will definitely stay here again if we come back to Penang. We're celebrated our Wedding Anniversary in this Mansion in Penang. Satisfied with their services and warm gift/cake was prepared by the Hotel. We will stay again once we visit Penang in the near future. Overall we are satisfied with our stay, only that the room has a lot of noise during our sleep at night but we are not sure what noise are that. The room is fantastic, service of staff is great ! Great stay.